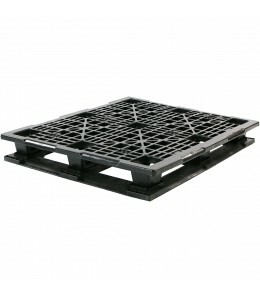 Rackable plastic pallets from One Way Solutions are the most durable and reliable pallets you can find. Designed to be safely and securely stored on racks, rackable pallets allow you to maximize available floor space without sacrificing storage space. If you are looking for added levels of safety, One Way Solutions also carries fire retardant models, as well as FDA approved models for any of your food, beverage, or pharmaceutical storage needs. Can't find the exact size or specifications that you need? No need to worry. One Way Solutions offers custom and specialty pallets to fit the needs of all of our customers. For more information, contact us today and we'll find the right pallet for you, even if it means making a custom mold.